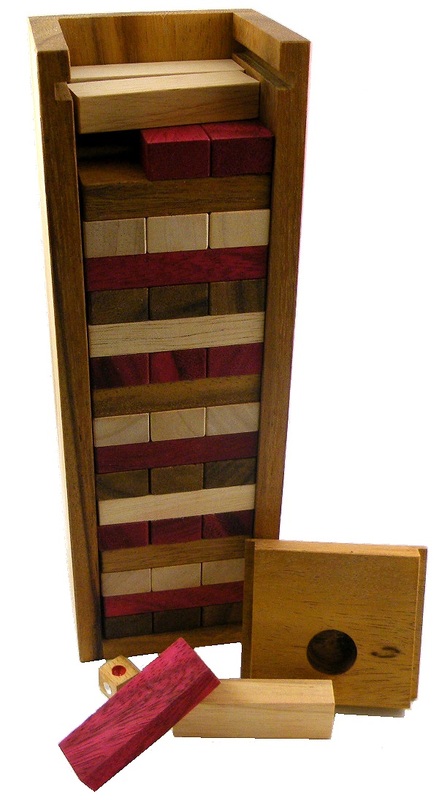 Approximate Dimensions: 9.25" x 3" x 2.75"
Beautiful handmade version of this traditional popular and fun building classic game that has stood the test of time. Here in a triple wooden colors version, and includs a wooden dice. The Jumbling Tower construct from 54 blocks and is 18 stories tall. 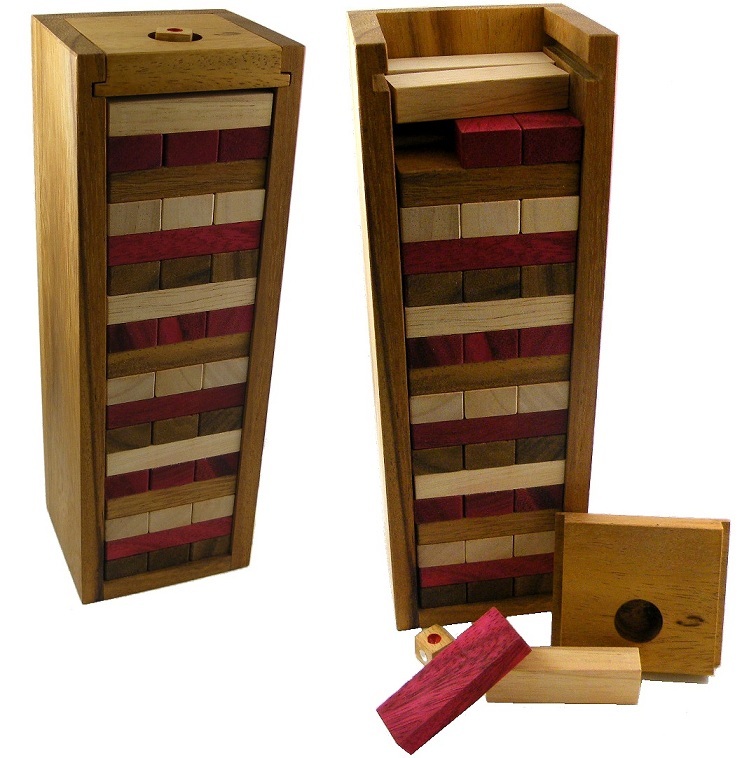 This beautiful wooden game set comes complete with a finely hand-crafted wood case to hold all of the pieces. A sliding wooden base allows for easy game setup. Take turns to remove the wooden bricks from the stack and replace them on the top. 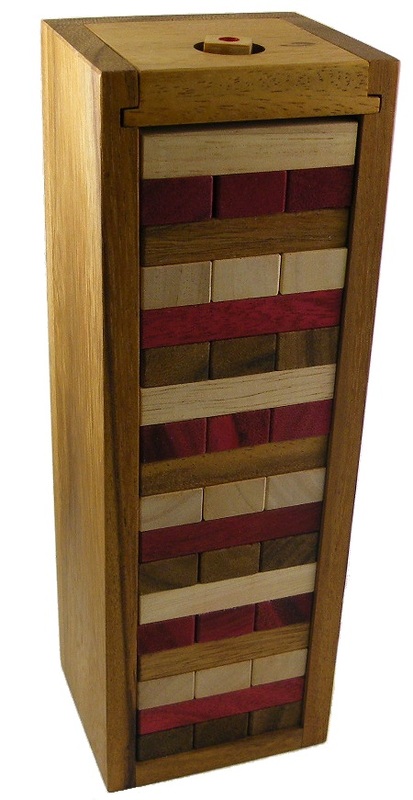 The tension mounts until finally the inevitable happens and someone causes the stack to tumble down! You can play it with any number of players aged 5 years - adult.